One, island, in particular, is perhaps the most enigmatic of them all. The small island of Baljenac (or Bavljenac), located off the Dalmatian coast, in the south of the country, and part of the Šibenik archipelago offers a unique landscape. With an area of only 0.14 square kilometers has a coastline length of 1,431 meters, this small uninhabited island is a destination you have got to visit on your next trip to Croatia. The island features a stunning 23 kilometers of perfectly constructed dry stone walls, making it a unique Dalmatian fingerprint. The walls of Baljenac were built without any type of mortar or cement and were erected by simply piling and fitting the stones on top of each other. 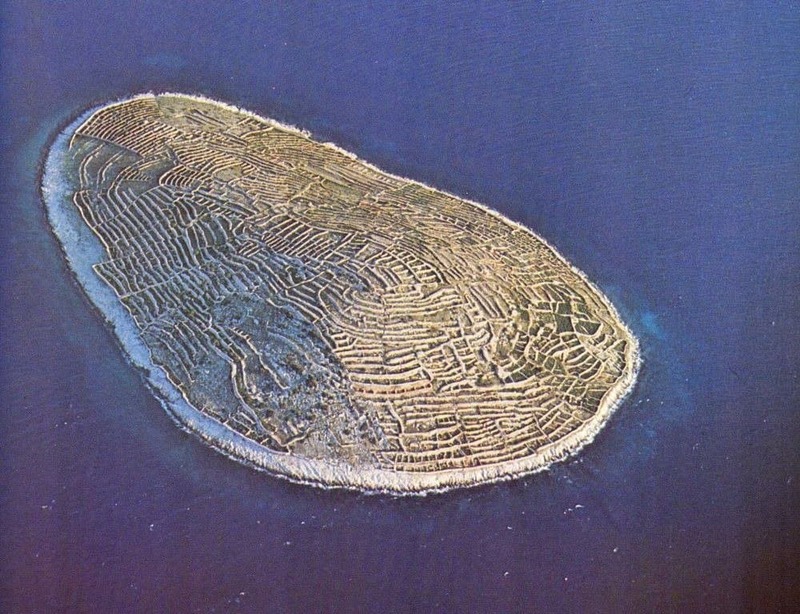 The stunning walls were built to separate the fields, where olives grow while protecting them from the wind (bura). The builders of the stunning, yet curious walls were the inhabitants of the nearby island of Kaprije, who have been exploiting the area since ancient times and continue to do so. 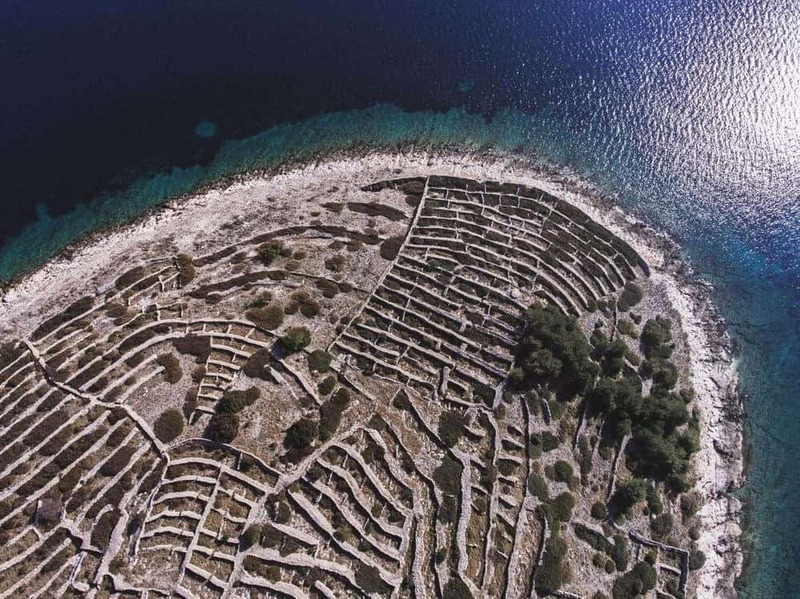 Other islands in the archipelago of Šibenik are also covered by these walls, but Baljenac stands out because it has the highest concentration of them. 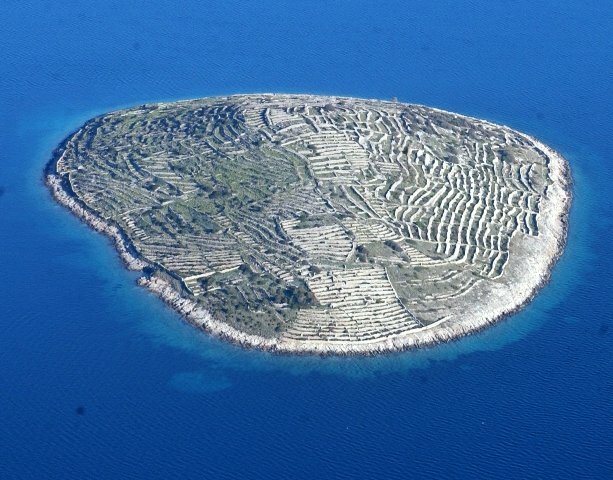 Baljenac presents a kilometer and a half of walls per hectare, while the following islands by density would be the Zut (200 meters per hectare) and Kornati (100 meters per hectare). As for the time of construction, it is believed that the walls were raised during the nineteenth century, although it is possible that many of them were built earlier. 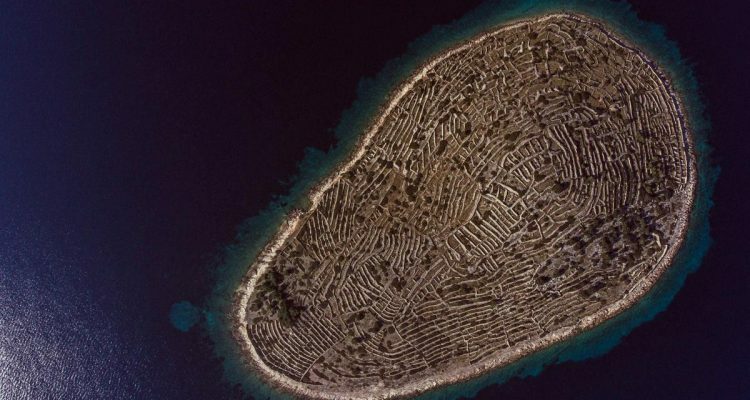 In total, adding up all of the Croatian islands in the area, it is estimated that some 300 farmers were able to build 106 kilometers of walls over a total of 12 square kilometers.